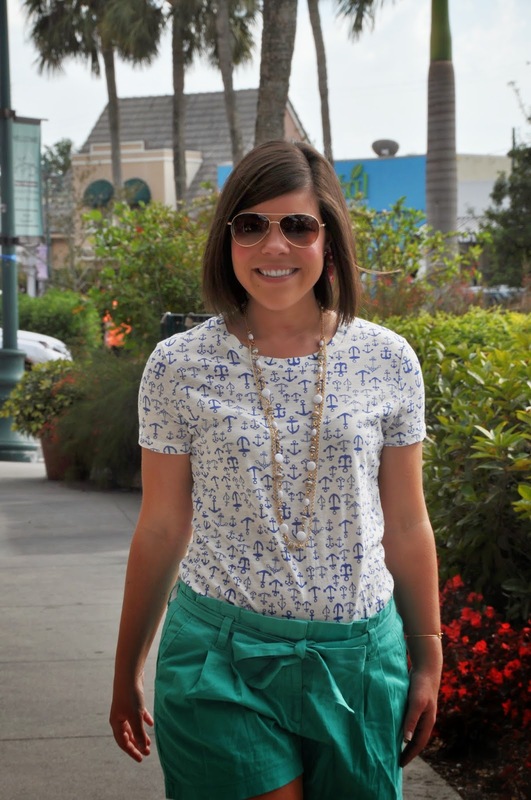 Linking up with Perfectly Coutured for Three-fer Thursday! TOMORROW is the last day to enter the B. Ivy Bow Bracelet Giveaway– don’t miss your chance to win! You're wearing my favourite colour in your shorts. I love turquoise! 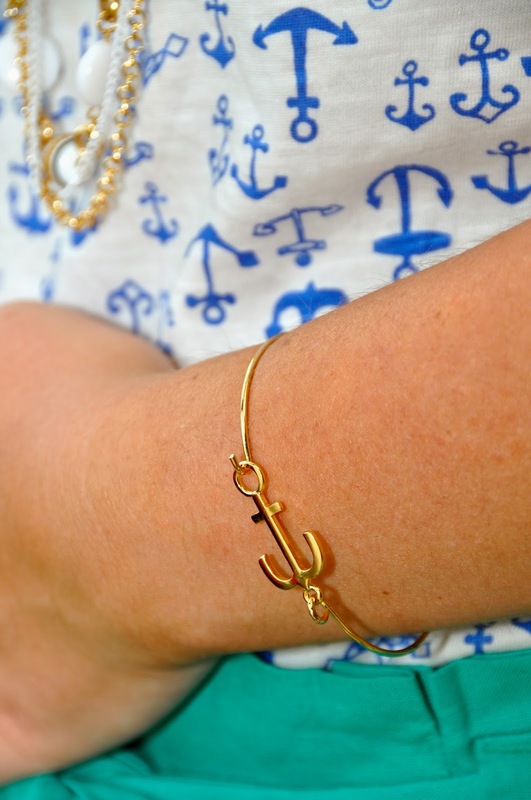 I don't own anything that has an anchor on. You take a really good photo, love your sunglasses. I have just started followingyou on bloglovin as I got your link from the threefer linky. I will leave my link, but please no pressure, I know some bloggers find this really annoying.